444 miles. 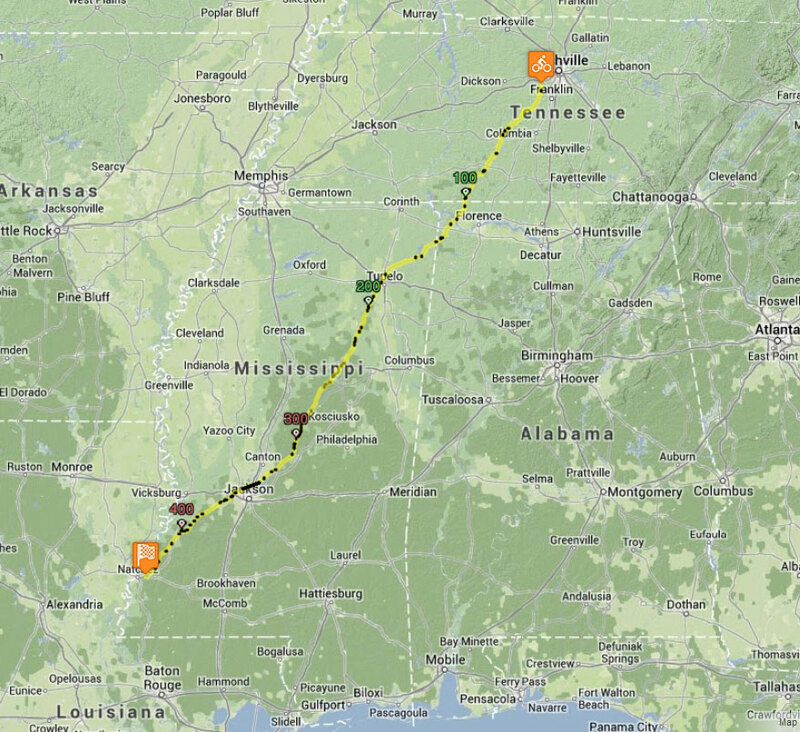 #epic444 – the entire Natchez Trace – a challenge with a cause. I’m riding the trace to support Team Red, White, and Blue – a cool organization which supports veterans as they return home from war and integrate back into society. One of the things that I treasure about cycling is the freedom that it gives me – freedom to explore, freedom to travel, freedom to experience life. This is just one of many freedoms I enjoy because of the sacrifice that many soldiers have made for this country. Please join me in supporting this cause by donating a small amount for each mile that I ride or any amount at all would be fantastic! Use the link below and donate right now before you forget! Follow along as I’ll be updating our progress here throughout the challenge. Thanks! This entry was posted in Adventure and tagged freedom, life on July 19, 2013 by kartoone.